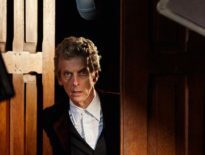 Here it is: the teaser trailer for Doctor Who Series 10, featuring Peter Capaldi as the Twelfth Doctor, Matt Lucas as Nardole, and introducing Pearl Mackie as Bill Potts. 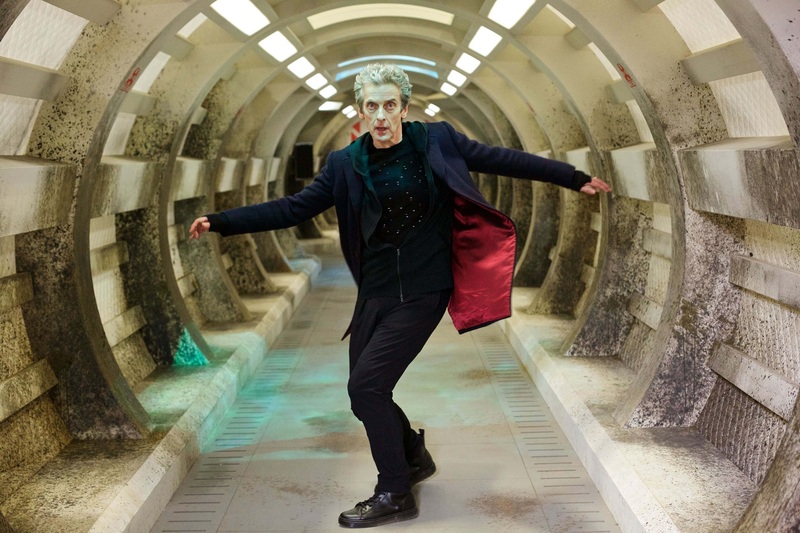 This feels like the sort of teasers we got between 2005 and 2010 – specially filmed segments akin to the Ninth Doctor’s “trip of a lifetime” and that one with the Eleventh Doctor and Amy lying on the grass. That’s surely a good thing: nostalgia but with a fresh feeling. Fortunately, there’s a few things to unpick here. Notably,there’s a whole host of monsters in that end section, distorted but nonetheless noticeable. Most obvious is the Dalek, but there’s also a Cybus Industries-style Cyberman to the left. 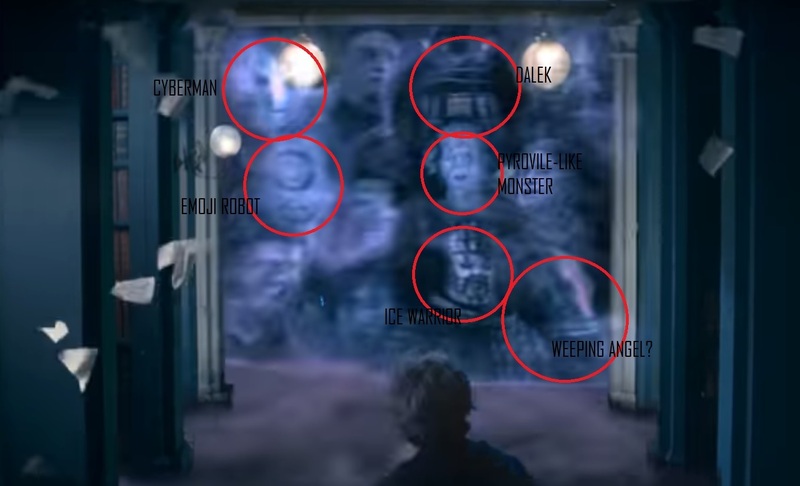 Below the Dalek appears to be the Pyrovile-like creature seen during recent filming, while the Emoji Robot from episode 2 of Series 10 is seemingly below the Cybermen (unless it’s the chest plate of the Cyberman, but then, what’s that just below it?). 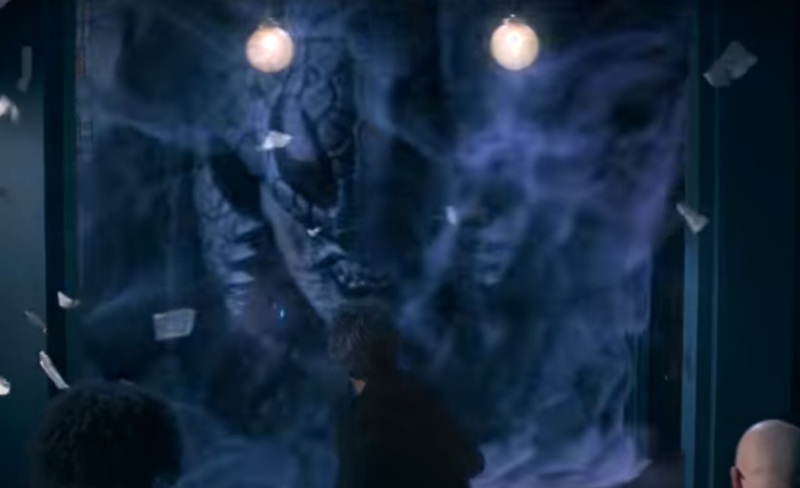 There’s also an Ice Warrior – the Cold War redesign – and, following their shock appearance in Class, it looks like a Weeping Angel to the bottom right. It’s faint but pretty sure it’s there. We also have what looks like a new Ice Warrior right at the end. Writer, Mark Gatiss has said there’d be a new type of Martian, so this would tie into that; some have speculated that this is a female Ice Warrior. But wait – there’s more. Because look at those books. These could be episode titles, or just clues: remember how Sherlock Series 4 was teased with words like “Sherringford”? Smile, for instance, would be a pretty perfect title, Listen-esque, for Episode 2, featuring the Emoji Robot. Thin Ice, too, would work for Episode 3, which, if rumours are to be believed, features a frost fair and a serpent in the River Thames. 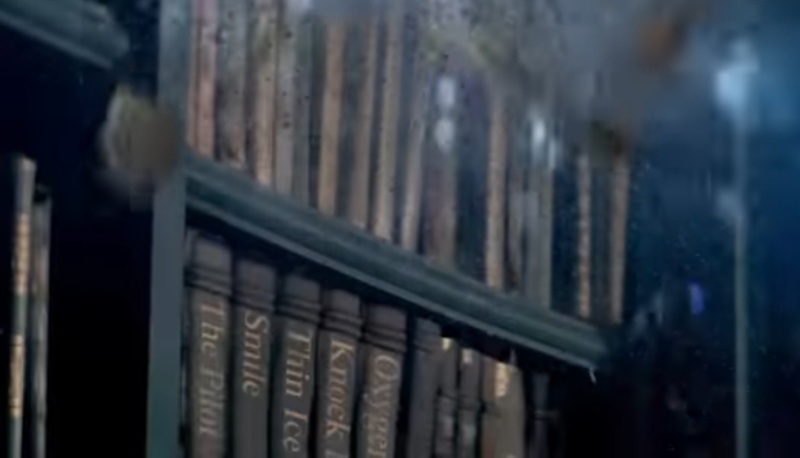 Knock Knock (presumably) could be a clue to Mike Bartlett’s The Haunted Hub, aka Episode 4 starring David Suchet. We can also see The Pilot – likely a clue to Star in Her Eye – and Oxygen. So what do you make of it? Excited? Or hoping for a longer trailer than that? Doctor Who Series 10 starts on 15th April 2017. That’s less than 50 days away, ladies and gents…!